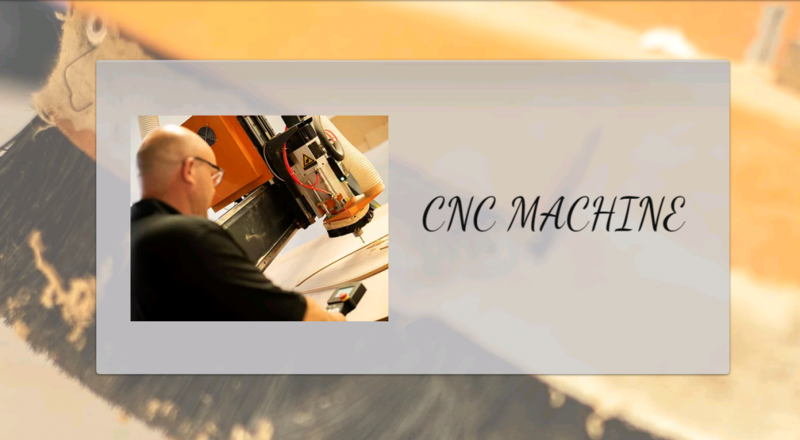 This months blog is dedicated to our state of the art CNC machine, an extremely versatile and innovative piece of equipment, capable of producing IMA’s most bespoke products! We will provide an insight and observation into the incarcerate and complex functions which allow us to create the highest in quality products for our clients. In 2017 we invested in a Computer Numerical Control, (CNC machine for short). The machining is controlled through a computer, taking digitized data from CAM (Computer-aided manufacturing ) which regulates the movements and controls. The control which includes mills, routers and grinders is important to the functionality of the machine required to create high quality, precise cutouts of a variety of materials. 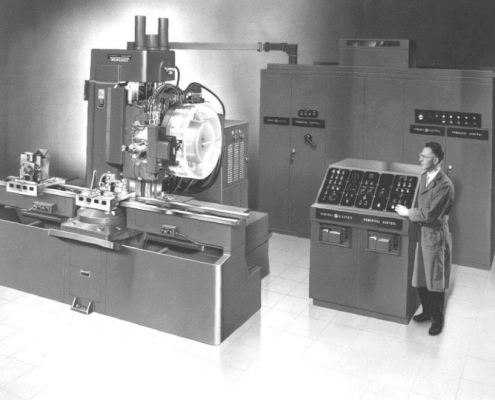 The first CNC machines were developed in the 1940’s and 50’s and relied on a common telecommunication data storage technology known as “punched tape” or “perforated paper tape.” Punched tape technology is long obsolete as the data medium quickly transitioned to analogue and then digital computer processing in the 1950s and 1960s. A lot has changed over 70 years, CNC machines are more advanced, here’s what they looked like 70 years ago compared to ours today. The capacity and proficiency that the CNC machine works at allowed us to bring our clients visions to life, leaving a lasting impression on all attendees. These can be anything, from eight-meter bears, wooden tress to immersive panels with delicate contours and grooves all achieved by this extraordinary piece of equipment. The CNC machines a unique piece of equipment, it utilises innovative technology to handle complex designs. As a result, the products achieved by the CNC machine are precise and accurate. The cutting-edge technology used enables much tighter tolerance., achieving a rate of 0.005 inches! Along with its other features, it’s hard not to be impressed! 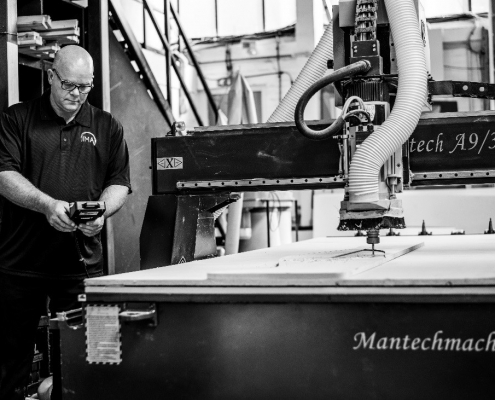 Our CNC machine allows us to work with the biggest names in the industry, pushing the boundaries of what we can create with our client’s visions, going above and beyond their expectations.